Rajashree has Qualification in LLB (Banking & Taxation) and LL.M. (Corporate Law) from one of premium law schools in India. After LL.M she joined as an Assistant Lecturer in law in the same law school where she post graduated and dealt successfully with various aspects of taxation. 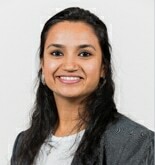 She started her Law career in Dubai in 2015. She currently focuses on Specializing in corporate and commercial matters and she is well versed with the local procedures and laws. Her current work experience includes Drafting and vetting of commercial contracts, Drafting legal notices, and agreements.